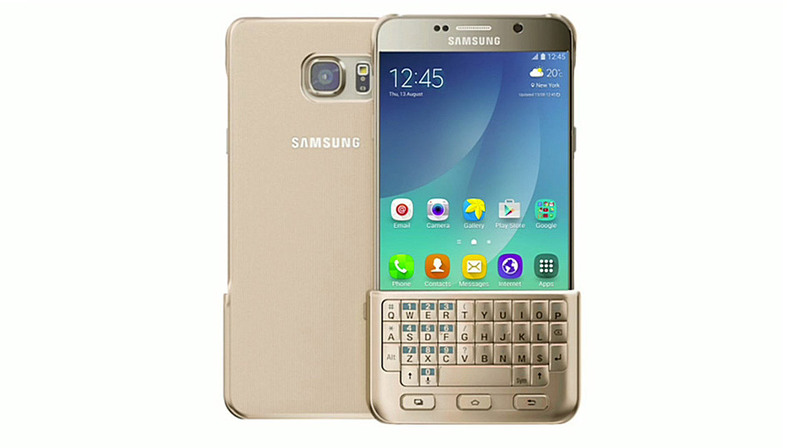 Samsung is returning to the era of Qwerty phones and re imaging them with the Touchscreen. Samsung is going to sell physical keyboard accessory for it's two newly launched flagship Galaxy Note 5 and Galaxy S6 Edge Plus. As rumored and we posted about, Samsung to provide a Physical keyboard in the future. Now the news is official, Samsung is offering for Galaxy S6 Edge Plus and Galaxy Note 5. On Thursday both flagships Galaxy Note 5 and Galaxy S6 Edge Plus were announced officially in one stage. If you are thinking how the accessory will be adjusted with the phone, it is easy just snap it on the device display and as you can see below it covers half of the screen.